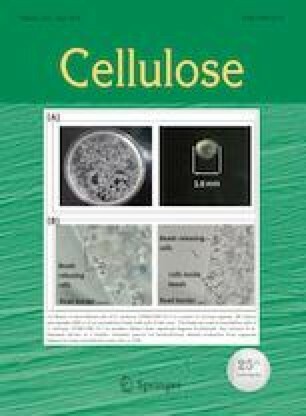 Cellulose triacetate (CTA) porous membranes were firstly prepared by the combined nonsolvent-thermally induced phase separation (N-TIPS) method. Dimethyl sulfone (DMSO2) and polyethylene glycol (PEG400) were respectively chosen as the TIPS solvent and additive of CTA, while water was used as the NIPS nonsolvent. Their Hansen solubility parameters were analyzed to understand the solution thermodynamics. Detailed investigation was applied on the effects of the polymer concentration, the coagulation bath temperature and the coagulation bath composition on the CTA porous membranes. It is found that both NIPS and TIPS effects simultaneously exist and compete with each other, and further affect the membrane morphology and performance. The NIPS effect can be promoted by lowering the CTA concentration or elevating the coagulation bath temperature, resulting in figure-like macropores and porous top surface. The obtained CTA porous membranes show a water flux as high as 2002.9 ± 55.2 L/m2h. On the contrary, the TIPS effect becomes the dominant factor, and leads to the symmetric sponge-like pores, which facilitate to enhance the mechanical properties. Besides, CTA porous membranes present large surface pore size as well as low fraction of figure-like macropores as increasing the DMSO2 content in the coagulation bath. These CTA porous membranes with excellent water permeability and mechanical strength are promising candidates for microfiltration or the porous substrates of thin film composite membranes. The online version of this article ( https://doi.org/10.1007/s10570-019-02347-7) contains supplementary material, which is available to authorized users. This research is financially supported by the Natural Science Foundation of Zhejiang Province (No. LY18E030002), Natural Science Foundation of Ningbo (Nos. 2018A610111, 2017A610052), Key Laboratory of Marine Materials and Related Technologies (No. 2016K07), and K.C. Wong Magna Fund in Ningbo University.